Data is the lifeblood of modern motorsport. MotoGP is no exception; each Grand Prix motorcycle contains a barrage of sensors generating thousands of lines of data. 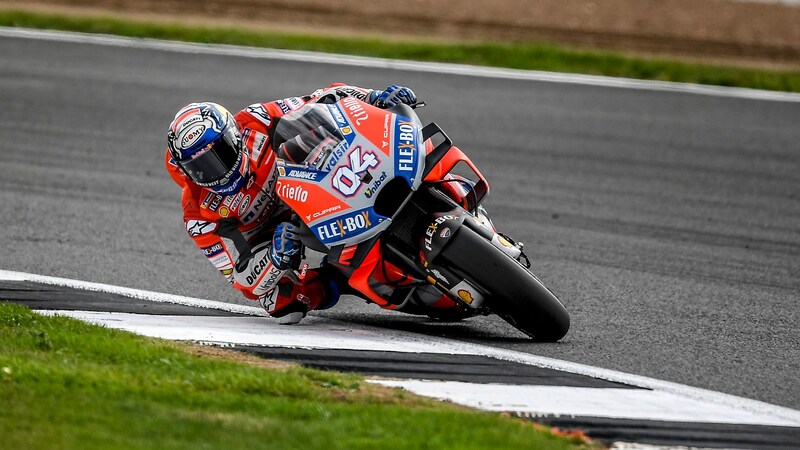 CAR went backstage with Ducati at the British Grand Prix to find out where on earth a front-running team starts with the sheer volume of ones and zeroes recorded during a race weekend. 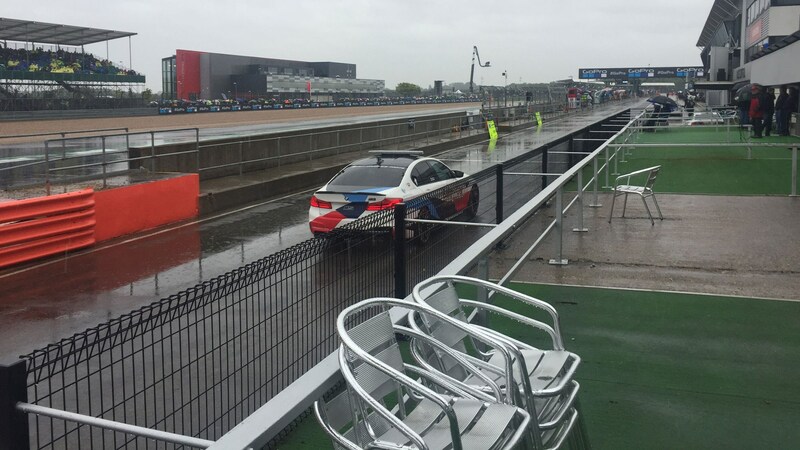 It’s a washout at Silverstone. 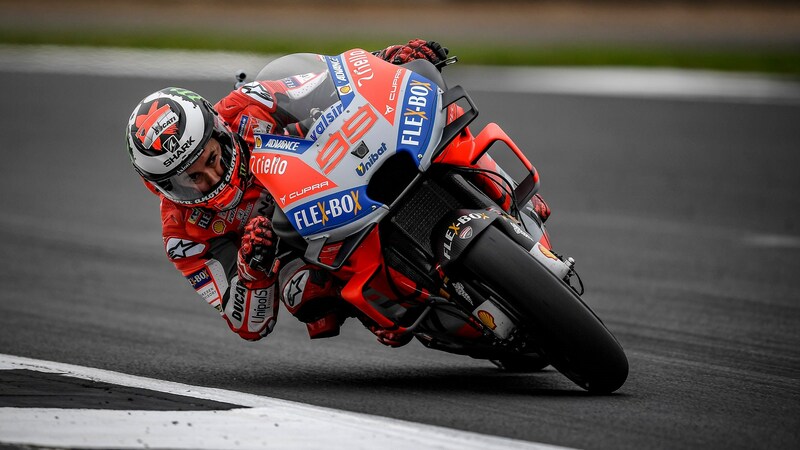 The 2018 MotoGP British Grand Prix is on indefinite hold as rain pours from an endless grey sky and forms into treacherous rivulets on an unexpectedly lumpy track surface. BMW M5 safety cars slither around on fruitless sighting laps at sporadic intervals to report back on any improvement, without any joy. Ducati’s garage is in a concurrent state of limbo and readiness, four immaculately prepared bikes (two race, two spare) sitting ready for their riders Jorge Lorenzo and Andrea Dovizioso, in case the race does go ahead. It’s in their interests if it does; both have qualified on the front row. CAR is a fly on the wall at the back of the garage, speaking with electronics engineer Gabriele Conti next to a rack of servers ready to channel the flow of umpteen gigabytes of data should the race go ahead. Data is the lifeblood of modern motorsport and MotoGP is no exception. Each bike carries around 65 sensors, measuring all kinds of parameters from suspension travel, to brake temperatures, to the intricacies of engine behaviour, and the bikes’ huge power (top teams being rumoured to be developing as much as 300bhp in testing) is deftly muzzled by complex electronic maps for traction control, anti-wheelie and so on. Each bike accrues around 25 to 30Gb of granular data over a race weekend. The blinking boxes in the rack beside us include the primary server and a back-up, plus ancillary units to manage the flow of data through various channels and security. 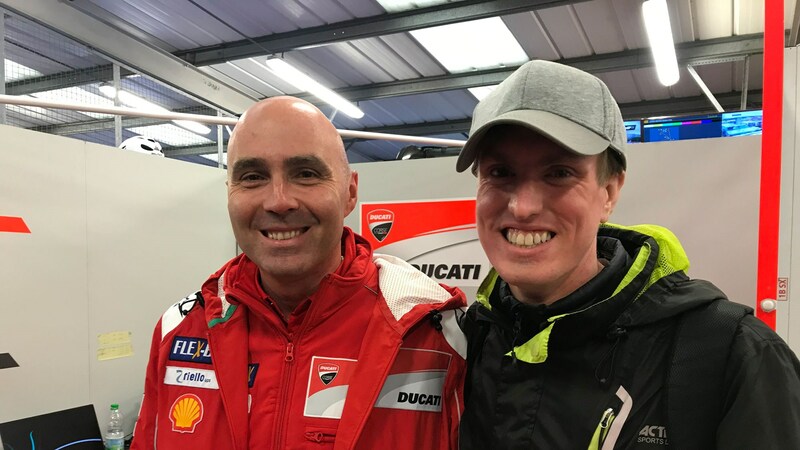 How quickly data can be transferred back to Ducati’s Bologna home depends where the team is in the world – MotoGP races across 15 countries in multiple continents. ‘Some circuits are slow, but others are very good. In F1 they have a high-speed fibre optic connection; MotoGP doesn’t,’ Conti explains. Security is an important consideration, too. All MotoGP teams are required to use the same software by regulations, to save costs and increase parity between bikes for closer racing. With common ECUs, you could theoretically apply data from one team straight to another. Paddock insiders suggest Conti is ‘the number one guy in the pitlane’ for electronics. He’s worked with a series of world champion riders, including the preternaturally talented Casey Stoner (‘Casey hated electronic rider aids – he would have switched them off and ridden without them if he could’) and the phenomenon that is Valentino Rossi during his time at Ducati. NetApp also works on production cars, within Ducati’s VW Group owners and with MotoGP’s commercial rights holder Dorna on its remote camera system. (Dorna has around 150 computer-linked cameras at each MotoGP round, 80 of which are on the bikes themselves). 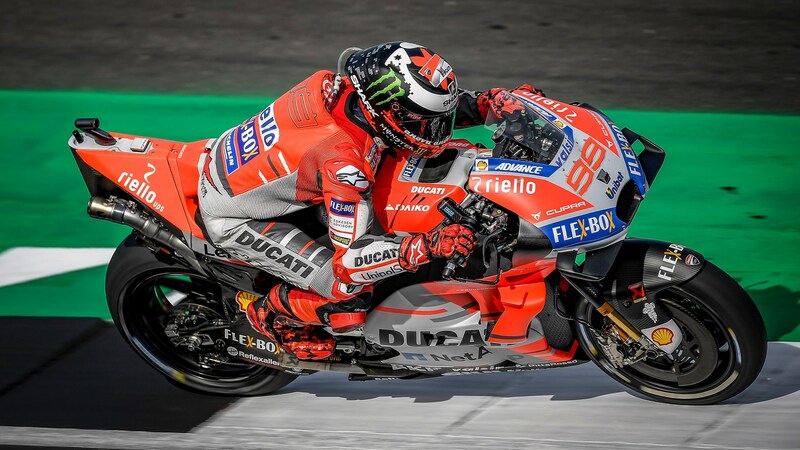 NetApp’s involvement with Ducati includes supercomputing, data cloud transfer and development on the company’s production bike side, for logistics, HR and on the customer side, developing apps for shopping, for example. For once, there’ll be little in the way of data to analyse from Silverstone 2018. 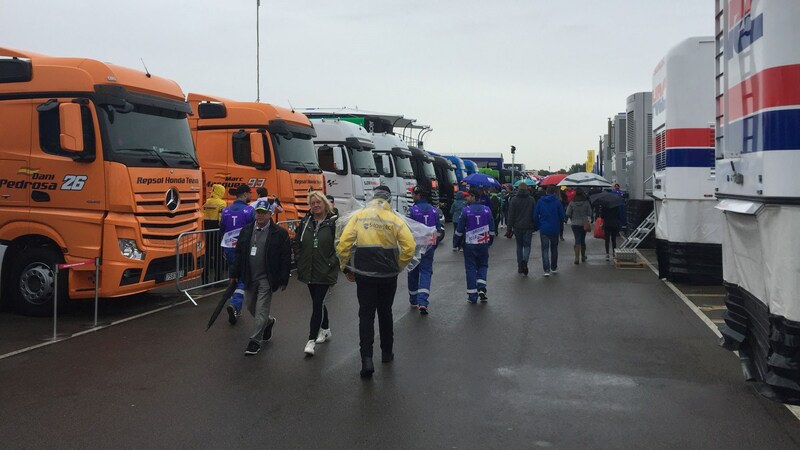 The rain never does stop falling, and the race is eventually cancelled, the first MotoGP event not to go ahead since 1980. It feels the right decision; rider Tito Rabat is lying in hospital with severe leg injuries following a collision with another rider’s bike in similarly heavy rain during practice the previous day; the thought of the potential carnage with a full field racing into spray and standing water is enough to make you shudder. By the time the teams were dismantling their paddock stations, the engineers' minds were already thinking ahead to the next round, and no doubt churning their data to come up with a baseline setup for Misano in Italy – with fingers crossed for sunshine.